Last analysis expected a resumption of the downwards trend which is what has happened. Summary: In the short term I expect a little upwards movement to the target at 102.14 to 102.61. This may last about five days. Thereafter, I expect more downwards movement towards the target at 84.00. This target may not be reached for some weeks yet. The next downwards movement should show an increase in downwards momentum. Minor wave 1 subdivides perfectly as an impulse. 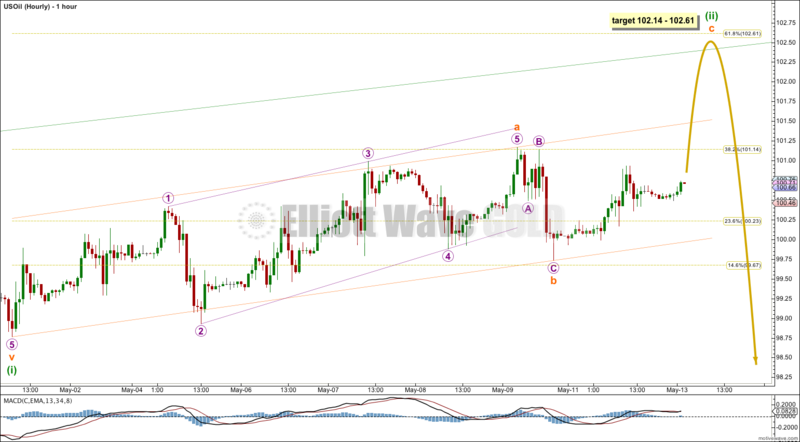 Minor wave 2 is now complete as an expanded flat correction which is a 66% correction of minor wave 1. At 72.53 minor wave 3 would reach 1.618 the length of minor wave 1. Minor wave 1 lasted 65 days and minor wave 2 lasted 67 days. Minor wave 3 is likely to be extended and so should last longer than 65 days. It may complete in a total Fibonacci 89 days. The channel drawn about minor waves 1 and 2 is a base channel. Minor wave 3 downwards should clearly and strongly breach the lower edge of the channel. Along the way down upwards corrections should find resistance about the upper edge of the channel. The channel is slightly overshot. Price has returned to below the upper trend line. Minute wave ii may not move beyond the start of minute wave i. 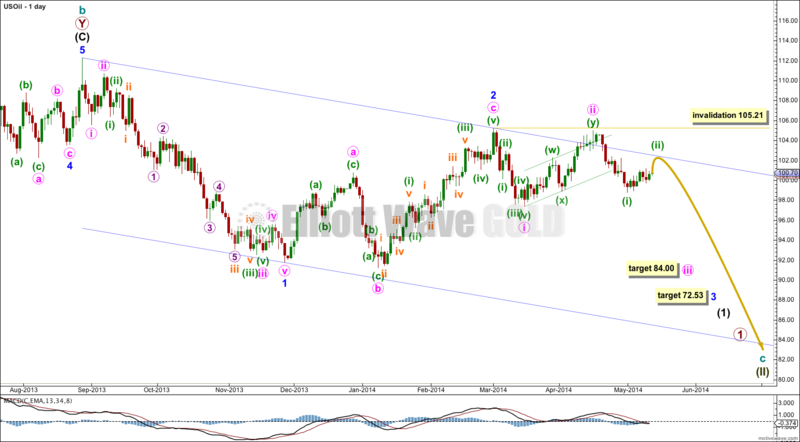 This wave count is invalidated with movement above 105.21. Minute wave iii has begun. Within it minuette wave (i) is complete and minuette wave (ii) shown here on the hourly chart is incomplete. Within minuette wave (ii) subminuette wave a subdivides imperfectly as a leading contracting diagonal. This structure fits except the third wave within it is the longest. I have noticed that sometimes third waves have this tendency, even within diagonals. No matter how subminuette wave a is labeled it is over. Subminuette wave b is also most likely over as a sharp brief zigzag. 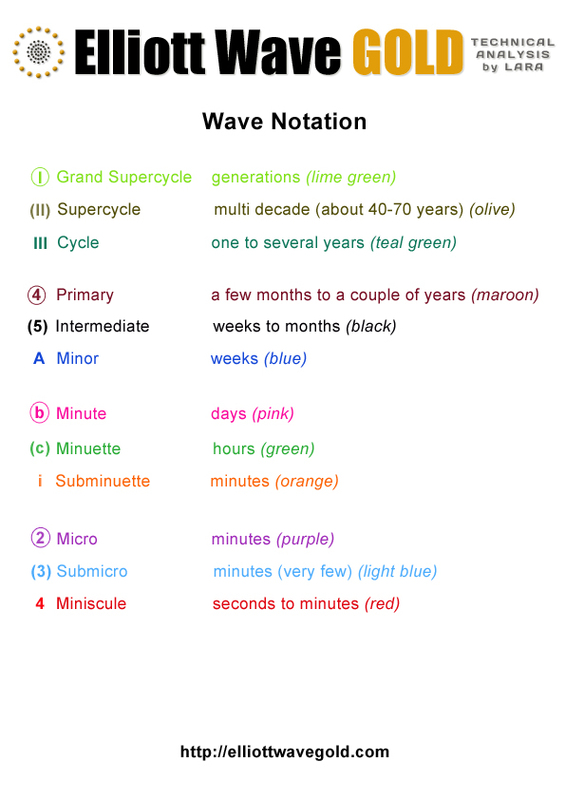 At 102.14 subminuette wave c would reach equality in length with subminuette wave a. At 102.61 minuette wave (ii) would reach to the 0.618 Fibonacci ratio of minuette wave (i). 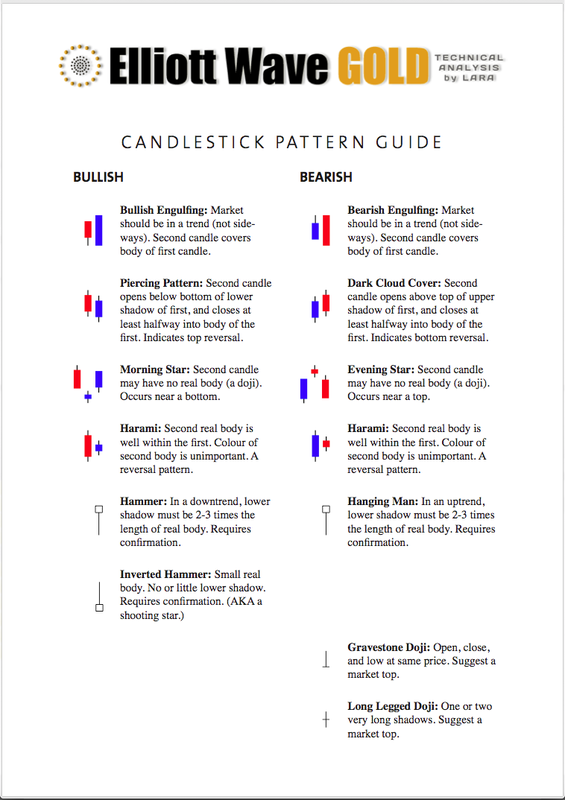 This is the most likely point for upwards movement to end. On the way up I would expect to see some resistance at the lower edge of the green channel copied over here from the daily chart. Subminuette wave a lasted six days. Subminuette wave c is now into its second day. It may end in about another four or five days. Minuette wave (ii) may not move beyond the start of minuette wave (i) above 105.21.